Does Libya really possess cluster munitions? HRI has located the original source of the Spanish media reports quoted as the basis by Amnesty International for the assumption that Libya possessed the MAT-120. The original article was published on solidaridad.net on 15th September 2008, written by Javier L. Noriega. Instalaza, por su parte, no quiso hacer declaraciones al respecto, pero puede ser la principal perjudicada. En la última legislatura, el Gobierno compró varios lotes de sus granadas de mortero MAT-120 y, además, aprobó dos contratos de exportación de este material a Finlandia y Libia. In the last parliament, the government purchased several lots of mortar MAT-120 and also approved two contracts for export of this material to Finland and Libya. Oficialmente, el fabricante Instalaza no hace ningún tipo de declaraciones sobre las bombas de racimo. Officially, the manufacturer Instalaza makes no statements on cluster munitions. The Spanish Government’s Report on the statistics of the export of military goods for 2007 had come out at the beginning of July 2008. NATO blame Gaddhafi for cluster bombing Misrata! Maj. Gen. Mark F. Ramsay is the Deputy Chief of Staff, Operations and Intelligence, Supreme Headquarters Allied Powers Europe, NATO, Casteau, Belgium. This is a long way from Robert Gates’ earlier position on this issue, not to mention Hillary Clinton’s initial reaction (about which more later). The claim here goes beyond saying Gaddhafi used cluster bombs “likely from mortar fire” to saying this was for the “express purpose” of killing and injuring his own people. Maj. Gen. Ramsay is suggesting NATO have a communications intercept – and one in which Gaddafi (or perhaps his officers) expressly order the use of cluster munitions to kill and injure his own people. Why has this information not been released? Has this information been shared with the ICC and Louis Moreno Ocampo? How will this be assessed by the ICC? Will the USA give evidence to the ICC regarding Misrata and how will this be squared with the use, stockpiling and transfer by the USA of millions of cluster bombs and of the use of about 1.2 million cluster bomblets by Israel? HRI demands the immediate release of the absolutely irrefutable evidence mentioned by U.S. Air Force Maj. Gen. Mark Ramsay. The International Criminal Court (ICC) is a permanent tribunal to prosecute individuals for genocide, crimes against humanity, war crimes, and the crime of aggression (although it cannot currently exercise jurisdiction over the crime of aggression). It was set up in 2002. The prosecutor of the ICC is Luis Moreno-Ocampo. Luis Moreno-Ocampo told the UN Security Council on May 4 that “crimes against humanity have been and continue to be committed in Libya,” but for now he is targeting just three people for arrest. “I will request the judges to issue arrest warrants against three individuals who appear to bear the greatest criminal responsibility for crimes against humanity committed in the territory of Libya since February 15, 2011,” Moreno-Ocampo said. It seems from media reports that he will issue arrest warrants for Gaddafi, his son Saif and the one other shortly. It will be interesting to see whether the charges against Gaddafi will include the cluster bombing of Misrata. We hope there will also be full investigation of any rebel, NATO or coalition war crimes. To date, the ICC has only EVER charged people from Africa. What are the chances of anyone from the USA (Who do not accept its jurisdiction anyway) being charged? Certain large human rights organisations, in particular Amnesty International and Human Rights Watch, are wedded to this project so loathe to criticise it. 1) An end to the selective enforcement of human rights by the ICC which could be said to amount to institutional racism. 2) Human rights activists to organise themselves using the internet, blogs, twitter and all the other tools at our disposal to investigate and expose human rights abuses, especially the massive human rights abuses perpetrated by the richest and most powerful governments. The Associated Press reports the African Union has called on its members to disregard the International Criminal Court’s arrest warrant for Moammar Gadhafi, an official confirmed 2 July 2011. The decision was passed by the African Union 1 July stating that the warrant against Gadhafi “seriously complicates” efforts by the organization to find a solution to the Libyan crisis. 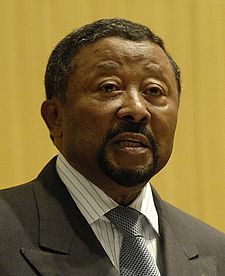 Chairperson of the Commission of the African Union Jean Ping also told reporters that the ICC is “discriminatory” and only goes after crimes committed in Africa, while ignoring those he says were committed by Western powers in places like Iraq, Afghanistan and Pakistan. “With this in mind, we recommend that the member states do not cooperate with the execution of this arrest warrant,” said the motion, which was shown to The Associated Press and whose passage was confirmed by Daniel Adugna, a spokesman in the AU commissioner’s office. Instalaza has been claiming 40 million euros, according to Spanish newspaper Cincodias in compensation for damages and lost profits after Spain decided to ban cluster bombs. The claim was put into the Spanish Executive, but the company refuses to say what the result has been. For their part, according to this newspaper report, the Spanish Defence Ministry denies receiving any such demand. The newspaper repeats the claims that Instalaza exported to Libya and points out that if this is the case it would have needed the approval of the Directorate General of Armament and Equipment of the Ministry of Defence which was headed in 2007 by the current Chief of Staff of Defense, Air Force General José Julio Rodríguez. The arms sale would have had to have the approval of the the Interministerial Regulatory Board of Foreign Trade in Defence and Dual-Use. This Board is chaired by the Secretary of State for Commerce, vice-chaired by the Foreign Minister and has the participation of the general director of Strategic Affairs and Terrorism, the intelligence director of the CNI, the director general of Ordnance, the director of the Customs Revenue Agency, deputy director of the Guardia Civil operation, the Police, the Secretary General of Foreign Trade and the general secretary of the Ministry of Industry. Its decisions are binding on the Ministry of Foreign Trade, which is the body granting export licenses. If this is the case, it is a scandal and would mean the Spanish National Reports on Arms Exports were written to deceive the Spanish and international public. The paper claims Instalaza was granted three licenses to export cluster munitions to Libya in 2007 amounting to 3,83 million euros. It seems unlikely that three licenses would be required for this export. 1) The public release of the full details of the exports of all cluster munitions by Instalaza as these weapons were apparently used in war crimes. 2) A full account by Spain of why their National Reports did not mention the export of cluster munitions to Libya and action to be taken against the officials involved. 3) We repeat our call for every one of the parties to the conflict, including Libya, Qatar, the UAE and the USA to sign up to the Convention on Cluster Munitions. See our article on the cluster bombing of Misrata for a balanced view as to who used cluster munitions in Misrata.